I had every intention of not wading into the Elf on the Shelf debate, because it’s really not a matter of faith and morals, and is therefore something about which good Catholics are free to make their own choices, and follow their own consciences, and disagree. But it’s been a while since we’ve dug into the mailbag around here, hasn’t it? I’ve only been asked if our family does the Elf on the Shelf a couple times, and I’ve just replied that we don’t without going into a lot of detail about why. But in the most recent instance, the wording of the question really got me thinking about WHY we don’t do Elf on the Shelf, even though I’m in general a proponent of quirky holiday fun and even of baptizing secular traditions. I love how you put this question, Angie. Because we don’t do the Elf on the Shelf, but I’ve never taken the time to formulate exactly WHY. Your question really has the two reasons why. First: the Elf on the Shelf just doesn’t quite line up with what we teach our children about the world and the saints and Christmas, and second: we Catholics have so many other fun things to do that we DON’T really need the Elf on the Shelf to have a fun and whimsical Christmas. Back story: the Elf on the Shelf is an American pre-Christmas “tradition” developed in 2004 by a couple ladies who wanted to sell you a book. 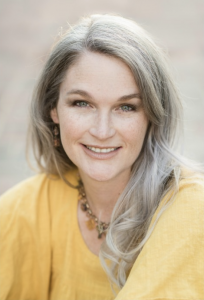 Now, as a lady who has appropriated/rediscovered/made up quite a few traditions myself, and who has written a book about them, that’s not necessarily a problem for me. 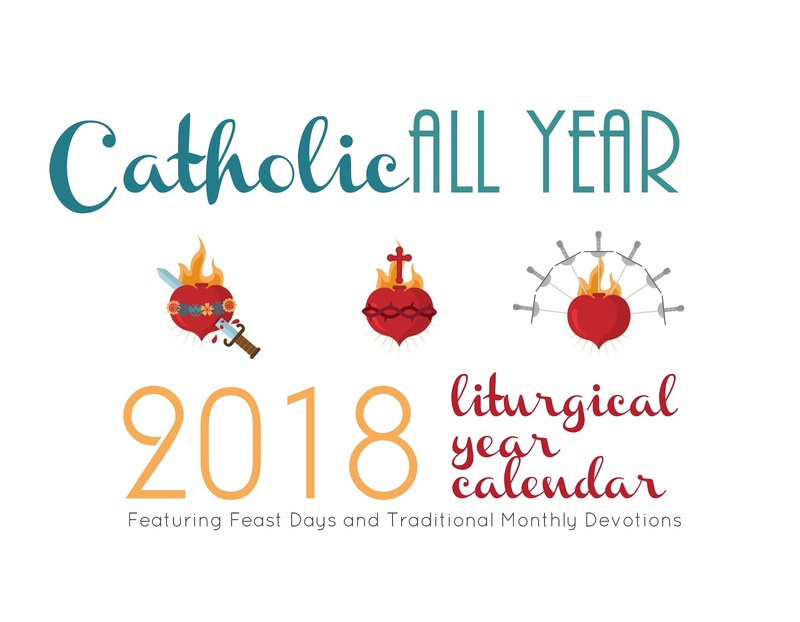 But while our family liturgical year traditions, old and new, have their roots in our ancient Catholic faith and their goal is to entertain and catechize . . . the Elf on the Shelf is a spy and a tattletale, and his goal is to intimidate children into good behavior (and probably to get you to buy more elf stuff). The idea is that you buy the picture book and the stuffed elf doll. You set him up somewhere in your house or classroom and each day he watches the kids to see if they’re being naughty, and each night he magically flies off to report to Santa on the day’s doings. He flies back and hides in a new spot, and the kids look for him again each day. Perhaps because we live in a fallen world, he is often found making messes or engaging in acts of questionable taste. And then, of course, you post a photo of it on social media. In any case, certainly parents and teachers who do the elf thing are just looking to enjoy an entertaining game with their kids in the lead up to Christmas. The elf reporting back to Santa is just an offshoot of the longstanding naughty and nice list. But in our house, that’s not what we emphasize about Santa. We emphasize that Santa, like God, wants us to be good, but we know that we very often are not as good as we mean to be. We need God’s radical mercy and the graces he bestows upon us, undeserved, through the sacraments. I see that reflected in Santa’s desire for our good behavior, but his generosity in spite of our failures. Rather than some sort of secret police elf spying on them and reporting back to Santa, what my kids actually have is a guardian angel, assigned to each of them by God. That guardian angel functions pretty much in exactly the opposite way as the Elf on the Shelf. Rather than spying on us and ratting us out, our guardian angels guard us and protect us and advocate for us to God the Father. 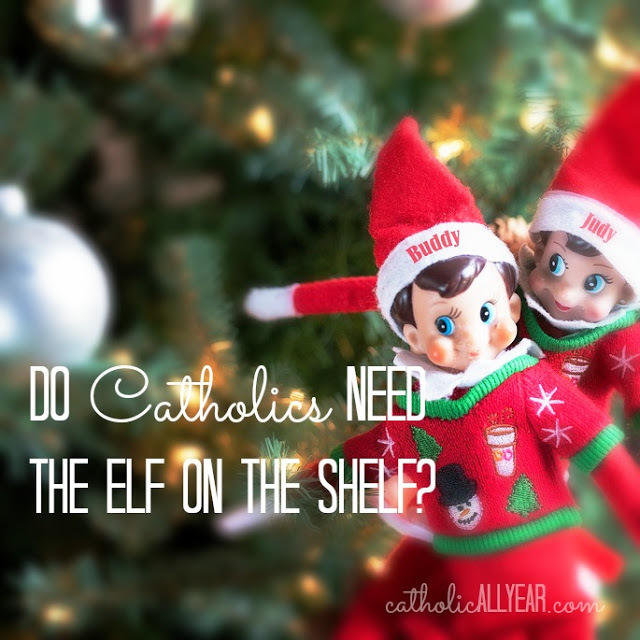 To me, the Elf on the Shelf is a perfect example of a secular attempt to find the shared community fun of liturgical living. I get where it’s coming from, but it’s all skewed somehow. In our home during Advent, we do an Advent wreath, and Advent calendars, and Straw for Baby Jesus, we celebrate the feast days of St. Ambrose, and St. Nicholas, and the Immaculate Conception, and Our Lady of Guadalupe, and St. Lucy, and we do a nine day Christmas Novena. It’s PLENTY! I definitely don’t need a whole month of trying to keep up the wacky antics of a snitch elf. So that’s how WE do it. Once Advent is over, and Christmas has begun, we do the Traveling Wise Men. Now, we don’t know much about the Wise Men with any sort of historical accuracy. However, Catholic tradition is that there were three, and that they were kings from Asia, Africa, and Europe, and that they were called Sts. Gaspar, Melchior, and Balthasar. Despite what your kids might think if they’ve seen the movie The Star, it was a common ancient belief that a new star appeared at the time of a ruler’s birth (not before). St. Thomas Aquinas, among others, confirms as the traditional understanding of the Catholic Church, that the magi saw the star as it rose on the night of Jesus’ birth, began to follow it, and were able to travel quickly to their destination with Divine assistance (Summa Theologiae III q.36, a.6, ad 3). Tradition says they arrived on the thirteenth day, January 6th, when we celebrate Epiphany. So, short story long, in the Catholic tradition, Wise Men depart not at the beginning of Advent, but upon the rising of the Star of Bethlehem. On Christmas Eve, when we put the baby Jesuses in the mangers of our nativity sets, we also put the Wise Men out, but a few feet away and facing in the opposite direction from the Holy Family. Each night, the Wise Men move (they’re following the star, so they prefer to travel by night) until they’ve circled the house (or the yard) and come back to arrive at the nativity set on the morning of Epiphany. Each day the kids get up and look for where the Wise Men have ended up. Occasionally, the Wise Men will forget to move during the night. This can be very troubling to the children. However, it just means that there must have been a sandstorm overnight, or one of the camels was sick, and usually they’ll manage to make their move during the day, but always when no one is watching. Some years there are more sandstorms than others, but, somehow, they always manage to reach their destination on time. We have acquired quite a few nativity sets over the years. Not ALL the Wise Men get to make the journey. In our house, only the mantle set and the outdoor set move. If the kids want to know why, I just tell them that . . . . I don’t know why. But they are welcome to send their toy Wise Men on a journey if they’d like. Sometimes they do. I really do enjoy our traveling Wise Men. It’s a fun family game, for a manageable time period. 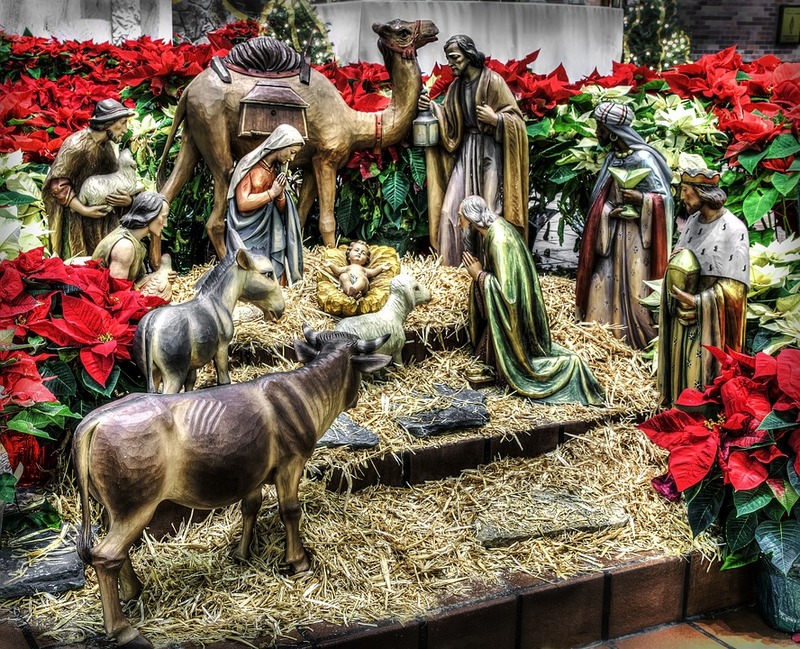 It has been practiced by Catholics for generations, allows us to learn a bit about the traditional Catholic understanding of the Wise Men, and is something that defines the days of Christmastide for us. Speaking of Liturgical Living . 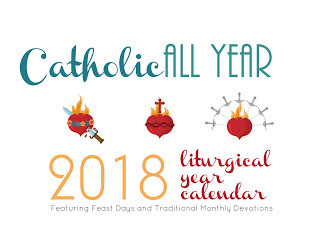 . .
I’ve got a liturgical year wall calendar that features all the feasts and fasts of the Universal Calendar and then some, illustrated with images featuring the traditional Catholic monthly devotions. It’s an easy visual way to bring liturgical living into your home. As the Church year begins with December, so does the calendar. You get December 2017 through December 2018, thirteen months. Available for purchase here. The publisher offers coupon codes, check for the most recent one here. Oh, and getting Christmas shopping done before Advent is always a goal of mine. If it’s a goal of yours too, I can help! Every downloadable image in my Printable Prayers shop is on sale for only $3, today through cyber Monday. I really never ever do sales, so grab this one while it’s hot! The “be good because Santa’s watching” I don’t like, even without a spying elf and a lot of extra work for me. Also, people do one FOR EACH KID and that is not happening. We DO do Elf in a Shelf but we don’t do Santa. Lol. I never read my kids the book for all the reasons you describe, but we really were suckers for Elf-shenanigans. Especially because we have a shenanigans-doing child. The left tradition just sort of fit over here. We send move Mary, Joseph and a donkey around our house during Advent…as they make their way to Bethlehem. They obviously don't get into any antics..and sometimes they don't make much progress at night, but then the kids can help them move during the day. We also do the wise men traveling after Christmas as well. Ooh, I haven’t heard the Mary and Joseph traveling before Christmas. I like that! And historically accurate. It probably took them about four days to do the journey from Nazareth to Bethlehem, so you could even do it last minute! We have Mary, Joseph, and the donkey travel too! It's such a fun part of of our Advent, to see them progress as we journey closer to Christmas. Maybe someone has already asked this, but I am Canadian and our days of obligation, for example, differ from what your Conference of Bishops asks of American Catholics. Besides this difference, would there be any other significant differences, do you know, in a liturgical Calendar for Americans and one for Canadians? This is very helpful. Thank you! I'm impressed you know that much about another nation's liturgical year! I'd like to find time some day to compare the US/CDN calendars. I was hoping to purchase your calendar for a friend, and this makes it easier to decide. God bless your family. Kendra, have you heard of "Shepherd on the Search"? He's a bit of a Christian alternative to Elf on the Shelf, created by DaySpring. He's lovely! Instead of spying and snitching and putting a heavy emphasis on toy-getting, the Shepherd spends Advent (or the 25 days in December) *searching and waiting* for Jesus (gasp)! He too can search at night and turn up in a different location each morning, only to be encouraged anew by the kiddos to "be patient" or "don't give up". On Christmas morning, he finally finds the Baby Jesus and sits by his side. He comes with a little book, packaged in a box that doubles as a stable/nativity for families that don't have one. I believe DaySpring also makes a family devotional to purchase separately. Like you, we currently have lots of other special traditions going on and we haven't tried out the Shepherd for ourselves. But our friends love using him and we like to gift him to nieces, nephews, godchildren, etc. Hope some of your followers can enjoy him too! Thank you for this post. I had forgotten about the Wise Men travelling! Growing up we always set the Wise Men far from the manger and I enjoyed moving them a few steps each evening. Such a wonderful memory. Blessings to you and the family.